Runs a 3-week group programme focused on how to improve your chances of getting a job in today’s market, including preparation for interview and a Mock Interview conducted by members of the Carlow Business and Training community. In 2016 the Jobs Club worked with over 600 individuals. In a town like Carlow the support of the Tús scheme is vital for organizations and community groups in order to allow them deliver their services to the community or respond to their own particular service needs. Many groups rely on the expertise and professionalism of Tús workers to help them provide a service to the public. For the Tús participant this work can serve as a stepping stone to employment experience, and this is particularly effective in the Healthcare Sector, Childcare Sector, Special Needs Organisations and Hospitality. 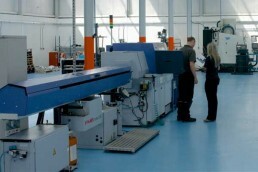 Furthermore, it provides a daily structure and builds the individual’s confidence through the learning of new skills. 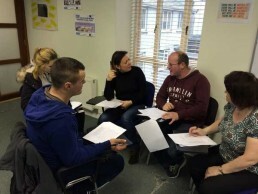 Tús participants provide vital supports to the work of the Carlow Volunteer Centre, Carlow Citizens Information Service, Carlow Chamber of Commerce and the Holy Angels Day Care Centre. 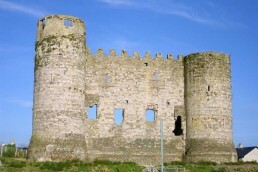 The LEADER programme provided support for the development of the 19th-century great house, Ducketts Grove, Hacketstown Road, Carlow. 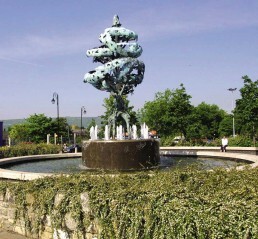 It is part of the Carlow Garden Trail. The SICAP team is working with resident’s associations in the Tullow Road area in order to develop an overall Development Group for the area, and with the Graiguecullen Development Association. Support has been given to the Traveller Men's Shed project in Saint Catherine's Community Services Centre. 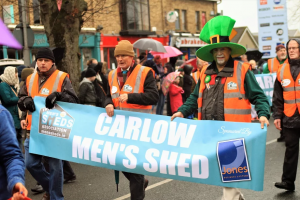 We have also provided support and training to the very dynamic Men's Shed in Carlow town, creating a space where men can come together to find meaning, purpose, friendship and belonging. One very worthwhile project they are involved in is the building of Buddy Benches. Carlow Men’s Shed in based in Askea Business Park and is open three mornings a week on Tuesdays, Wednesdays and Thursdays. Two participants who provided valuable environment support work in 2 locations. 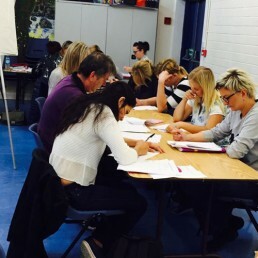 Ensuring a warm welcome for migrants to County Carlow through conversational English classes. Failte Isteach is running in 68 locations around the country. In Carlow town it runs in the Jobs Club building on Monday evenings from 5 – 7 and in the New Oak Community Centre on Friday mornings from 10 – 12, providing a warm welcome, advice and conversational English classes to migrants and members of new communities who wish to develop their English language skills. It is a community initiative, and all our tutors are volunteers, giving of their time to help the students integrate better into Carlow society. There are always volunteers needed to help out, especially people who are interested in teaching English. If you would like to take part and enjoy working as part of a team of volunteers please get in touch with us through the Contact page. Carlow County Development Partnership delivers a range of rural, enterprise, social inclusion, and community development initiatives projects and training programmes in the county. In Carlow Town it runs the Jobs Club and the Failte Isteach Language and Integration Programme, as well as other initiatives and programmes which you can check out here.